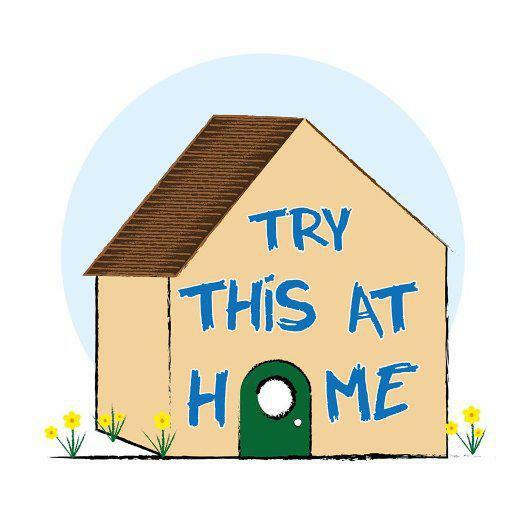 On this page you can find details of something that has happened at school which you may like to try at home. On Monday November 13th we had an assembly all about "Stir Up Sunday" and the history behind Christmas Puddings. 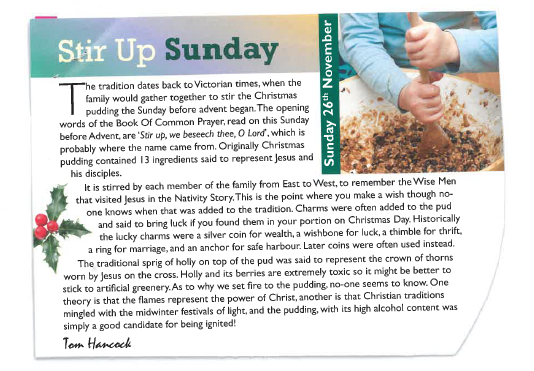 Mrs Moss had found an interesting article about "Stir Up Sunday" and the traditions behind it; we looked at ingredients and discussed the symbols and the history. There are pictures to help understand the magazine article below , where you will also find Mrs Moss' mothers family Christmas Pudding recipes. Why don't you stir up a pudding together and send us a photo!